Terry Callihan returns after several months off to talk about the tolls that promoting regional MMA has on someone and what he has in store for the future. 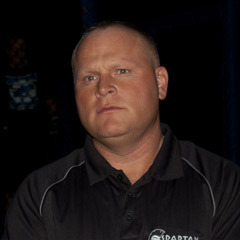 In this week’s blog, Spartan Fighting Championship promoter Terry Callihan recognizes all the people behind the scenes that are helping make Spartan one of the fastest growing regional mixed martial arts promotions in the country. Spartan Fighting Championship owner/promoter Terry Callihan talks about the art of mixed martial arts matchmaking, having to deal with injuries and building relationships with MMA managers in this week’s blog. In this week’s blog Spartan Fighting Championship owner/promoter Terry Callihan talks about his vision for the MMA promotion and why he keeps pushing forward despite the challenges and his insanely busy schedule. “This is Sparta!” is a new blog series from Spartan Fighting Championship promoter Terry Callihan leading up to their West Virginia debut with SFC 13 on April 13. It must be a real barrel of fun at Jackson’s MMA in Albuquerque as we see videos coming out of there featuring everything from stolen cars, to Jedi Force training and now this.